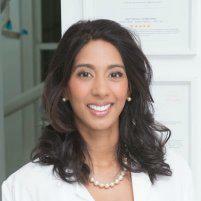 Sharde Harvey, DDS at Upper East Dental Innovations is one of the few dentists in New York City offering stem cell dentistry. Located in Manhattan on the Upper East Side, Dr. Harvey is specially-trained to recover stem cells from healthy teeth, and then preserve them for future medical treatment. Learn how stem cell dentistry can protect your future by calling Upper East Dental Innovations or scheduling an appointment online today. Stem cells are the building blocks of your body. These unique cells can not only develop into different types of cells but also act as an internal repair system. Innovative medical research has found that stem cells can be used to grow organ tissue, bones and cartilage, as well as nerve and brain cells. The National Institute of Health (NIH) recently discovered that stem cells are in baby teeth, young adult teeth, and impacted wisdom teeth. Because stem cells are typically difficult to reach, this exciting discovery allows specially-trained dentists to easily harvest stem cells and preserve them for possible medical treatment in the future. Stem cell therapy, also known as regenerative medicine, is an area of medicine using stem cells to repair disease, dysfunction, or damage in your body by implanting stem cells. Simply put, using stem cell therapy triggers your body’s natural healing response. Research is still uncovering the full potential of stem cells for medical treatments, but dental stem cells show great possibilities for the future of regenerative medicine. How are dental stem cells harvested? Dental stem cells are found in all healthy teeth, regardless of your age, though younger teeth have younger cells, which might be more beneficial. The more teeth you preserve, the greater the potential for effective stem cell treatments in the future. If you have a dental procedure that involves a tooth extraction, Dr. Harvey simply recovers your stem cells at the time of your procedure. To store your dental stem cells until they’re needed, Dr. Harvey is proud to offer StemSave™. This is a safe and affordable service for cryopreservation of teeth with healthy dental pulp for future use against injury or disease. Call Upper East Dental Innovations to learn more about stem cell dentistry or schedule an appointment online.